Our school has chosen to embrace the Martin Seligman-designed PERMA Model (2011) to increase psychological well-being and happiness among students. Seligman’s PERMA Model is based around five key areas: positive emotions, engagement, relationships, meaning and achievement. From the beginning of the year, the year 6 team chose to spotlight “meaning” with an interpretive emphasis on finding positive purpose through altruism, making a difference and community service. It was hoped that incorporating this focus into the curriculum would support students to take action in their inquiries, during the exhibition process and in their everyday lives. Through subsequent reflections students articulated ways in which seeking to engage in “meaningful” tasks to improve collective well-being had fostered their own feelings of worth and connectedness. Students were encouraged to begin critically by investigating the potential effects of taking action to make a positive difference. Scientific explanations of the social value of consideration for others were looked at and provided topics for engaging classroom discussions. Students sought out and independently tapped veins of evidence similar to that which informed the “M” of the PERMA model—evidence suggesting that altruistic effort might enhance personal as well as collective well-being. From these indications it was possible to thoroughly examine ways in which relationship-building through good deeds might yield individual psychological benefit, give rise to positive emotion and, crucially, provide a sense of purpose. With the eleven and twelve-year-olds in our classes, it was not necessary to evade any of the paradoxes surrounding selflessness as a possible source of self-gratification. We saw views develop of personal well-being as inextricable from the social, with attitude and action reverberating effects upon both. When elements of complication or dissent were introduced it seemed to us that students were becoming increasingly reflexive. Moreover, encouraging students to problematize as well as analyze well-being as related to action-in-the-world, seemed a key factor in the classroom interest we were able to sustain, and the energized response we subsequently saw. Looking “behind the curtain” at altruism triggered curiosity among students to see if they would experience these benefits themselves, and they went about trying to make a difference in the school and local community. They did so by volunteering at aged care residences, baking cupcakes to thank our school’s staff for their work, and asking parents if they could photograph them simply because they were beautiful. In fact, positive statements of all kinds abounded, as students handed them out around the school and sought to further spread the word about kindness as a means to happiness by creating videos and speaking on the subject to other year levels. Exploring the symbiosis of personal and social well-being also gave rise to a sense of local/global inter-relatedness, which students turned to action through involvement in a drive to help make shoes for Ugandan children. Across our classrooms increasingly expansive feelings of responsibility for others’ welfare seemed to develop beyond the initial pursuit and promotion of micro-acts of kindness. A further outcome of these activities was that students were primed to take purposeful action as part of the Primary Years Programme exhibition process. As groups identified issues, the ability to extrapolate from the personal, to the local and the global seemed to have carried over from their previous endeavours. The practicality of finding ways to act was also reflected in their demonstrable diversity of approach. This included conventional political involvement; a group who saw a need for increased medical funding wrote to their Members of Parliament, while another circulated petitions and produced awareness-raising videos and brochures. Still another group of students discovered that the increasing use of medical robots used in surgeries tended to make patients nervous. This is an issue they might previously have considered outside their scope for contribution, but they determined a creative and affective route for acting when they wrote and published a picture book to be shared with children awaiting surgery at the Royal Melbourne Children’s Hospital. In some ways, treating meaning in personal and interpersonal life as a subject for classroom inquiry might seem undesirable—a way of disenchanting young people’s ideas about well-being and happiness. Highlighting the concept as one fit for debate, scrutiny and explication seemed to allow our students to re-conceive “well-being” as a dynamic in which each individual already has an immediate stake and power of influence. Ultimately, focusing attention on one element of the PERMA model provided a structure for our year 6 students to consider the layers of possible influence that an individual might have on the world as well as allowing them to be more fully apprised of the school’s well-being system and well-being goals for themselves. Not only was the concept productive as an area for classroom inquiry, but the subsequent momentum showed that students were genuinely enthused to explore their potential for bringing about positive change. One child wrote: “I felt so happy and grateful that I made someone joyful and I am proud that I have changed someone’s life”. Another: “I felt inspired knowing that I made a difference and I want to find more ways to take action”. Understanding the multifaceted advantages of meaningful action seemed to inspire students to be more thoughtful in their interactions with peers, and proved a clear motivator for involvement in promoting and upholding school well-being which, in turn, built a sense of capacity for extending positive influence beyond the school and local community. Bashford, F, Cergol, J and Murphy, C. 2017. How can finding positive purpose and making a positive difference improve individual happiness? Melbourne: Milgate Primary School. Seligman, M. 2011. Flourish: A Visionary New Understanding of Happiness and Well-being. New York: Free Press. 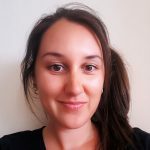 Jasmine Cergol is a Year 6 Teacher and Year Level Coordinator at Milgate Primary School, Melbourne, Australia. She has a background in adult education and has been a primary educator for the last six years. She has been fortunate to share IB Primary Years Programme journey from the beginning and is experienced teaching foundation as well as the upper primary year levels.